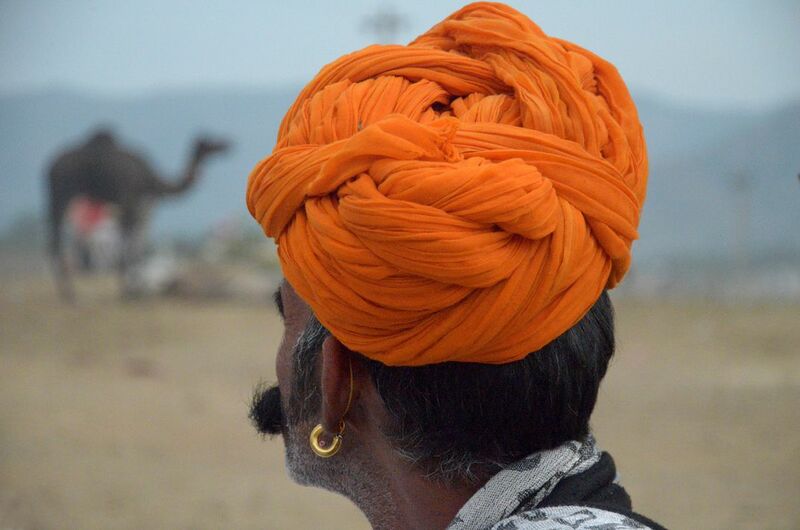 PHOTOGRAPHED DURING PUSHKAR CAMEL FESTIVAL IN 2014. A CAMEL OWNER IS LOOKING TOWARDS HIS CAMEL WHEN GOSSIPING WITH HIS FELLOW OWNERS IN PUSHKAR. Date Uploaded: Nov. 18, 2014, 1:47 p.m.